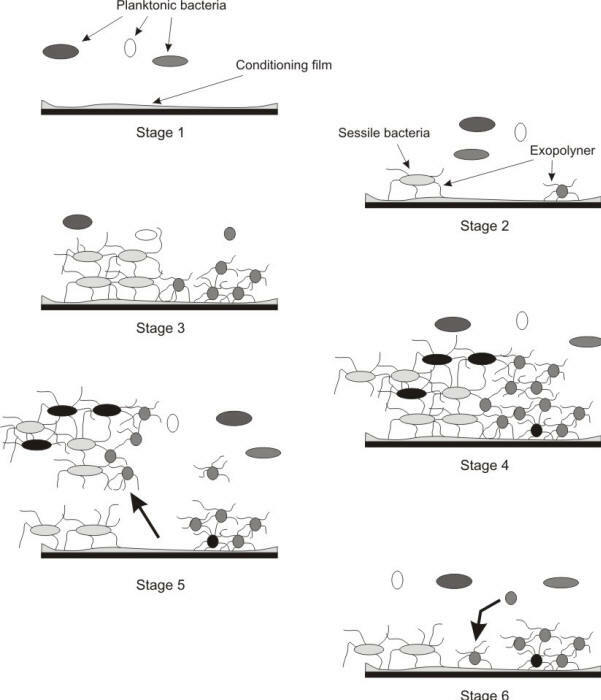 As illustrated in the following Figure, microorganisms tend to attach themselves to solid surfaces, colonize, proliferate, and form biofilms which may in turn produce an environment at the biofilm/metal interface radically different from the bulk medium in terms of pH, dissolved oxygen, organic and inorganic species. 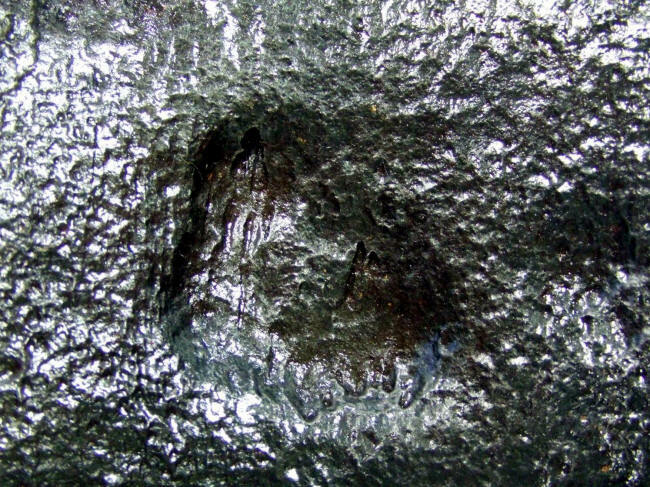 Since the biofilm tends to create non-uniform surface conditions, localized attack might start at some points on the surface leading to localized corrosion, usually in the form of pitting . Industrial systems are likely to contain various structures where microbiologically induced corrosion (MIC) and biofouling can cause problems: open or closed cooling systems, water injection lines, storage tanks, residual water treatment systems, filtration systems, different types of pipes, reverse osmosis membranes, and potable water distribution systems. MIC is responsible for the degradation of a wide range of materials. A useful representation of materials degradation by microbes was made in the form of a pipe cross section as in the following Figure. 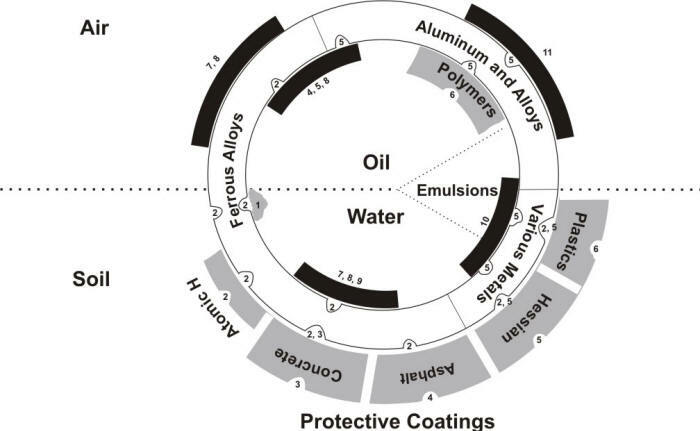 Schematic illustration of the principal methods of microbial degradation of metallic alloys and protective coatings. 1 - Tubercle leading to differential aeration corrosion cell and providing environment for “2”; 2- Anaerobic sulfate reducing bacteria (SRB); 3- Sulfur-oxidizing bacteria, producing sulfates and sulfuric acid; 4- Hydrocarbon utilizers, breaking down aliphatic and bitumen coatings and allowing access of “2” to underlying metallic structure; 5- Various microbes producing organic acids as end-products of growth, attacking mainly non-ferrous metals/alloys and coatings; 6- Bacteria and molds breaking down polymers; 7- Algae forming slimes on above-ground damp surfaces; 8- Slime forming molds and bacteria (which may produce organic acids or utilize hydrocarbons), providing differential aeration cells and growth conditions for “2”; 9- Mud on river bottoms, etc., providing matrix for heavy growth of microbes (including anaerobic conditions for “2”); 10- Sludge (inorganic debris, scale, corrosion products, etc.) providing matrix for heavy growth and differential aeration cells, and organic debris providing nutrients for growth;11- Debris (mainly organic) on metal above ground, providing growth conditions for organic acid-producing microbes. Most metals and their alloys (including stainless steel, aluminum and copper alloys), polymers, ceramic materials, and concrete can be attacked by microorganisms. The synergistic effect of different microbes and degradation mechanisms should be noted in the Figure above. The muddy bottom of any relatively stagnant body of water with a high biological oxygen demand often supports massive growth of sulfate reducing bacteria (SRB), as may waterlog soils. The following Figure shows the pitted area of a 15 cm circulating water line from the supply to the auxiliary vacuum pumps. Note the cluster of hemispherical pits and the long striated grooves due to the MIC attack. Each pit represents a localized cluster of anaerobic bacteria that have become destructive and begun damaging the pipe wall.The grooves are the results of bacteria attacking along the steel structure probably due to the drawing process in manufacturing the pipe. Any metallic installations buried or immersed in such environments can be expected to suffer badly from microbiological corrosion. The most serious economic problem is to pipelines as in the example shown in the following Figure, although sheet piles, hulls of ships, piers, and so on are frequently attacked. 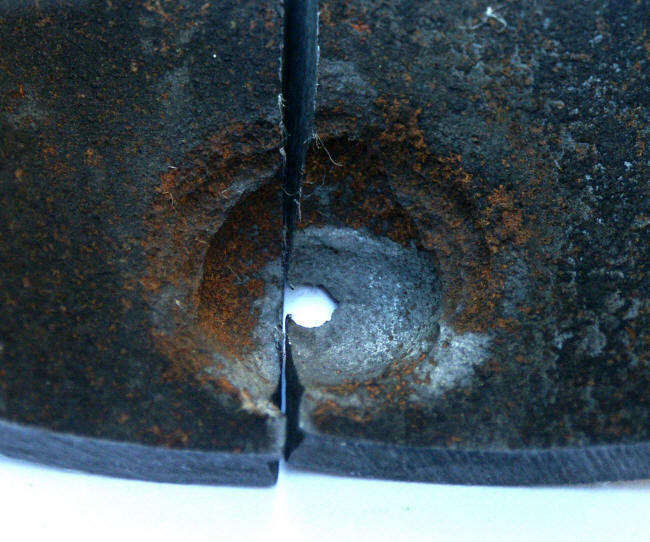 In some instances, cast iron pipes of 6.3 mm thickness have become perforated within 1 year under such conditions, while perforation in 3 years is common.